WASHINGTON — Some days, President Trump vows to eliminate them. The mixed and muddled signals from the administration are over the increasingly contentious role of the pharmacy benefit managers, or PBMs. Those discordant signals reflect a lack of clarity from Trump and his lieutenants over how best to address one of their top priorities: how to lower prescription drug prices. In interviews with STAT, lobbyists, congressional staffers, and health policy experts all pointed to contradictions both in the administration’s public addresses and in its policymaking. They are scratching their collective heads, struggling to discern the administration’s overarching strategy and, in some cases, to settle on their own. PBMs themselves have been leaning into their lobbying activities all that much more, two congressional staffers told STAT. In the past two years, pharmacy benefit managers have found themselves increasingly at the center of Washington’s escalating debate over high prescription drug prices. Their exact impact on drug prices is not altogether clear, since the exact details of their negotiations are secret. 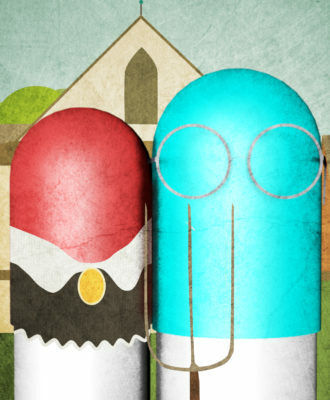 But in general, they help insurance companies negotiate discounts with drug makers for costly medicines. 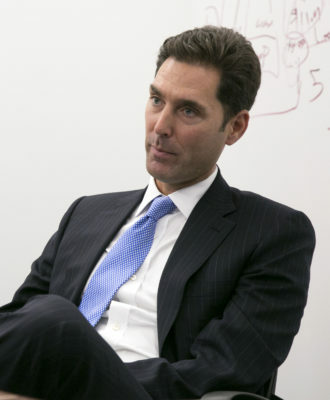 The three largest — CVS Caremark (owned by CVS Health), OptumRx (owned by UnitedHealth Group), and Express Scripts — have grown in the last decade into titans; together, they control 70 percent of the market. In part to deflect attention from their own rising prices, pharmaceutical companies have maintained a sustained campaign to turn Washington’s attention toward PBMs. 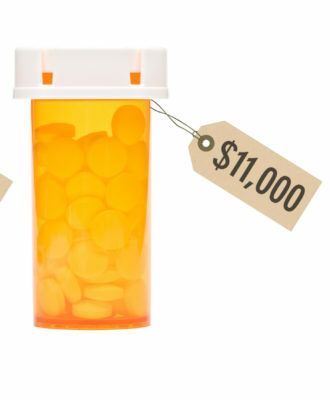 Advertisements by PhRMA decry the “middlemen” who “make more money when your medicine prices increase,” and a website set up by the lobbying group to explain drug costs says that the insurers and PBMs, not the drug company, determine what patients pay. 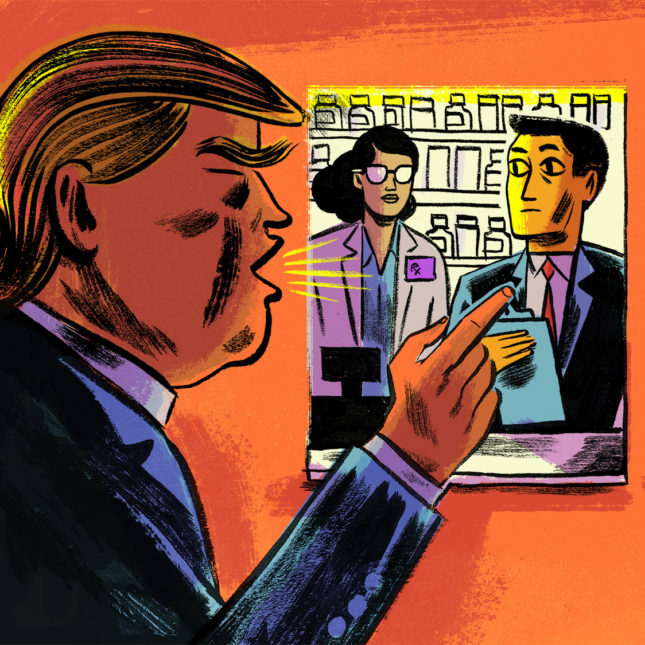 Into the fray wades Trump, who has made high drug prices a top priority. His execution of that priority, however, particularly when it comes to PBMs, has been mixed. Much of his rhetoric has sounded similar to PhRMA’s campaign against PBMs. So, too, does that of his health secretary Alex Azar — whose lines sounded so much like the drug lobby’s that two Democratic senators recently questioned whether Azar had “coordinated with the pharmaceutical industry to concoct a scenario” to shift the blame to PBMs. Take, for example, Trump’s most recent remarks about the so-called middlemen. Azar laughed. “You and me,” he said. The most striking thing about those comments? Trump was talking about a policy that might actually empower PBMs. Top Trump health officials said last month they will let private Medicare plans require seniors to try less expensive drugs before they “step” up to more expensive drugs. Insurance companies could negotiate for drug companies to offer lower prices in exchange for their drugs being offered to patients first. The administration didn’t tout this in the press release, but experts agreed: Those negotiations would almost certainly be carried out by pharmacy benefit managers. Trump’s rhetoric on the “middlemen” he decries for getting rich while doing “nothing” contrasts most vividly with that of Seema Verma, who oversees Medicare and Medicaid for the White House. 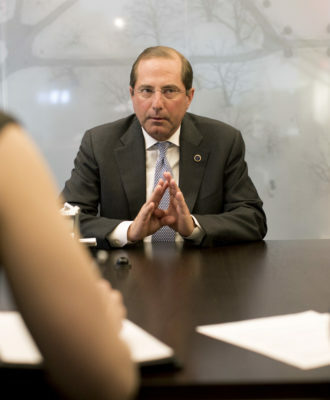 “We’re trying to … make sure that we have a more competitive environment, and then strengthening the role of the PBMs, and those that are negotiating on our behalf,” Verma said at an event for journalists in July. It’s not just the rhetoric, either — sometimes the policies themselves conflict. Two such proposals, both of which are still in their early stages and lack key details, center on the rebates PBMs extract from drug makers. One, first unveiled in Trump’s budget proposal, would force insurers to pass on those rebates to customers at the pharmacy counter. Another, hinted at in the title of a regulation that is awaiting review at the Office of Management and Budget, would eliminate rebates in government programs entirely. “How can you have point-of-sale rebates when you have no rebates?” the health care lobbyist asked. The policies they’re working on “lack a cohesive strategic objective, and in fact they could be conflicting in some cases,” the lobbyist added. Asked about the apparent contradictions, the White House referred questions to HHS. In fairness to the administration, the policies that govern drug policy are enough of a maze that it could make sense to both rein in PBMs in some ways and empower them in others. Right now, PBMs operate in some parts of Medicare and Medicaid and not in others. Bringing their negotiating tactics to new arenas, on the one hand, might eventually have an impact. And on the other hand, in arenas where PBMs have operated for years, it could make sense to change the incentives that the negotiating tactics encourage. “They’re well-suited to negotiate prices for physician-administered drugs,” said Ian Reynolds, manager of the Drug Spending Research Initiative at the Pew Charitable Trusts, referring to a category of drugs where, at least in Medicare, PBMs currently can’t negotiate prices. At the same time, he said, eliminating rebates that are based on the list price of the drug could help bring down those list prices. Despite Trump’s harsh words, the main lobbying group for the industry, the Pharmaceutical Care Management Association, isn’t particularly concerned. “You have to put some of the rhetoric aside because it doesn’t necessarily reflect what the final decisions are going to be,” CEO Mark Merritt, who plans to step down from the post in at the end of the year, told STAT in an interview. “The administration understands … PBMs are part of the solution,” Merritt said. Merritt, whose group represents the big three PBMs and several smaller ones, said that the administration’s rhetoric has not changed his industry’s lobbying strategy. PCMA spent about $1.5 million on lobbying activities in the first half of this year, up slightly from the $1.4 million they spent over the same period last year. CVS Health, Express Scripts, and UnitedHealth Group together spent another $6.54 million on a small army of lobbyists who represent them on pharmacy benefit business and other insurance issues. He’s a former PBM insider now shaping Trump’s drug policy. Will he reveal industry secrets? Merritt said that the group’s strategy with policymakers is similar to its strategy with commercial clients — show which policies would save money. 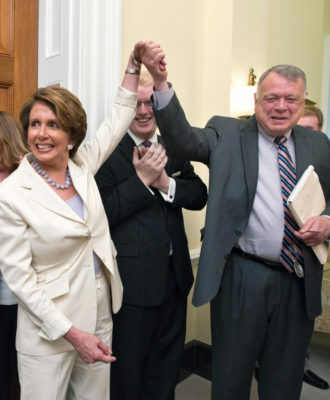 But Democratic congressional staffers say that they’ve noticed the PBM lobby stepping up their game, releasing more reports and proactively reaching out to lawmakers’ offices. “They’ll do meetings with all kinds of folks, health staffers from a variety of offices that they feel like can influence the administration and/or feature legislation,” said a Senate staffer. The PBMs argue their industry helps lower health care spending for individuals, and that rebates are not related to high drug prices. To hammer home that point, PCMA distributed a report last week to counter one of the pharmaceutical companies’ major arguments: that list prices are increasing because PBMs are demanding larger and larger rebates. PCMA pointed to dozens of drugs on which PBMs can’t negotiate rebates — like those in Medicare Part B, for example. For some of those drugs, list prices have still increased dramatically, they said — so rebates can’t be the problem. At least some of the PBMs’ lobbying efforts seem to be paying off. Prominent lawmakers on Capitol Hill are beginning to come to the industry’s defense — standing up, at least in small ways, to their own administration. Two powerful House and Senate Republicans urged the Office of Management and Budget, for example, to carefully evaluate the impact of forbidding PBMs from using rebates, a policy HHS has drafted and submitted for review, but which has not yet been published. There are others in Congress, however, who seem to be echoing Trump’s harsher rhetoric. Reps. Morgan Griffith (R-Va.) and Jan Schakowsky (D-Ill.) criticized the businesses as a “black box.” And Sen. Lamar Alexander (R-Tenn.), the chair of the Senate health committee, has been raising questions, like Trump and Azar, about whether PBM rebates are even necessary. It all adds up to a confusing jumble — and one that’s throwing the the Washington ecosystem for a loop. Excellent article, Ike. Perhaps, a grassroots-level effort needs to be mounted by a consortium of patient-centric organization. As Malhotra says in his comment, it’s no rocket science to figure out a win-win cost structure; if only we could keep the lobbyists out. It is hard to make policy when Industry Insiders control the dialogue. We are so far past any kind of sensible legislation. The “Fix” is in, the are going to do the same thing the Industries did to the A.C.A. Anything this guy comes up with, will be in response to whatever false narrative Pharma and their complicit journalists and media outlets is peddling this week. The obscene amounts of profits have undermined our elected officials, policy makers and even the facts. It is time for Universal Healthcare, the only solution here. the Fact that they are discussing the broken corrupt system is further proof. We are already paying for these schemes, and corrupt officials, are too conflicted by industry money and misinformation. I love it that a health care lobbyist said “we don’t have a clue.” This is a positive change from them driving policy on behalf of special interests that don’t include the patient. The person who has the least of care and compassion, still is insinuating himself in our lives, with earnestly attempts, to create the new “world order,” to which, he and his bff, are truly the most benefitial recipients, than all the pharmas’ combined. I will never stop speaking to the reprehensible individuals who have no right to be in the treatment rooms of any citizens, in a once democratic nation. The appointment of the head of the regulation committees are as responsible for the current, seemingly criminal behaviors that are of no benefit for the citizens who have rights that, in my opinion, are not being honored. That branch of our federal government, is a significant problem with everything that is chaotic and rife with consequences for our citizens; the only individuals who are benefiting from their intrusion into our private health care practitioners and us, is every single one of them! With so much of brain power we have it is an easy exercise to figure out the cost structure of drugs. One can easily see that PBMs are gouging the system and they will not roll over and play dead and let the go of the golden goose. The following analysis tells us the story. PBMs are going to kill every path that will lower their profits. Be aware lobbyists you will need to sharpen your pencils.